Files Stibbe Lawyers are proud to have a long standing association with Bribie Island, operating under their current name since 1996. Partners Dean Stibbe and Kylie Files (Stibbe) are both long term residents of the island. The firm enjoys an association with many organisations and clubs on the island, providing legal services on a voluntary or reduced fee basis and also participating in talks and seminars for local residents. 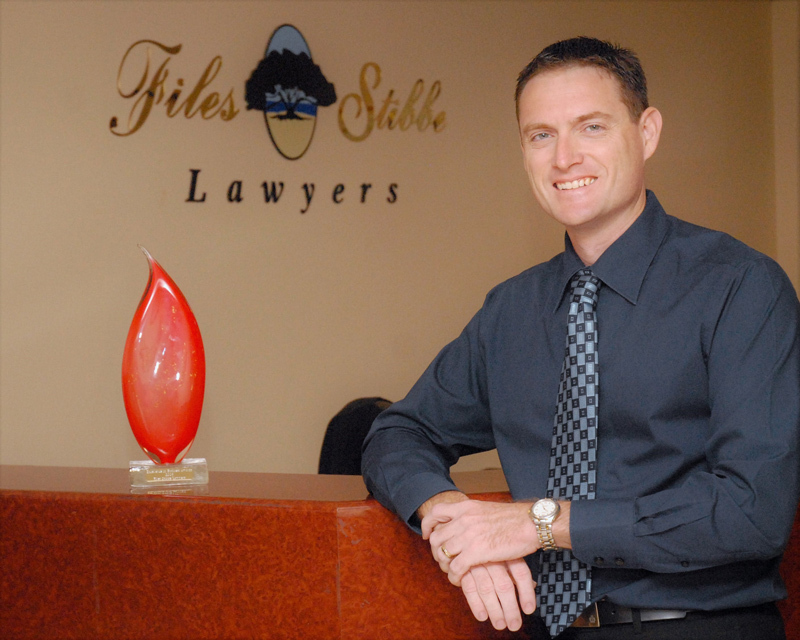 Bribie Island legal firm Files Stibbe Lawyers have been awarded numerous Professional Service awards since its opening in 1996. The firm has an amazing list of achievements since its establishment in 1996, including 6 Professional Service Awards in the Quest Newspapers Business Achiever Awards, and 5 Excellence in Business Awards. 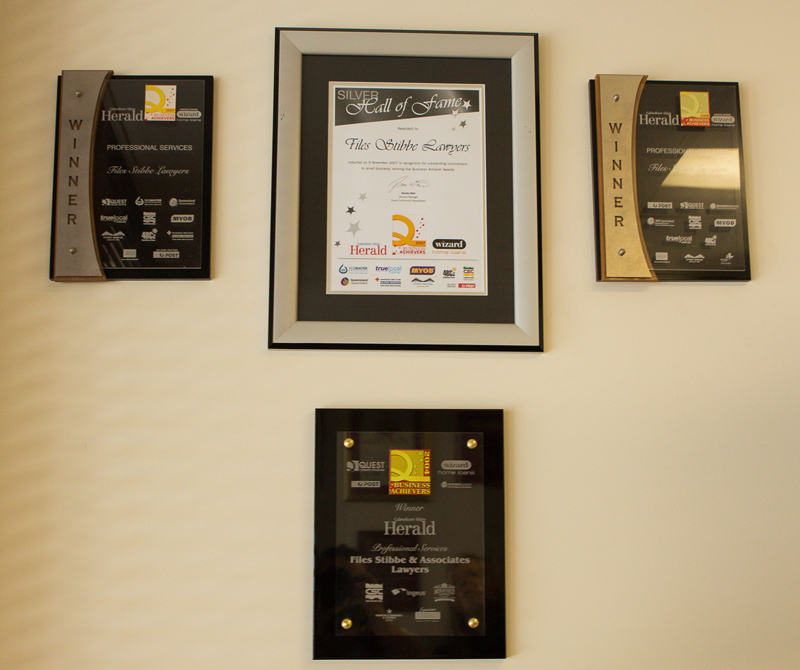 Files Stibbe Lawyers have also been inducted into the Silver Hall of Fame, an honour awarded only to those businesses who have won 5 or more awards. Files Stibbe were the first business in the Caboolture Shire to attain this goal. 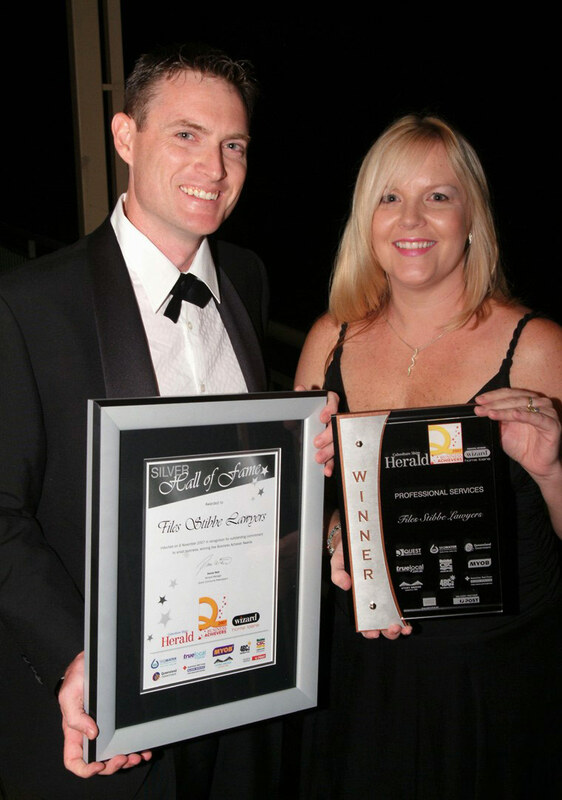 The firm has long been recognised for its achievements in the local and wider community, having also won or been finalists in a number of awards including Queensland Young CPA of the Year, Telstra Young Businesswoman of the Year and the Excellence in Business Awards. 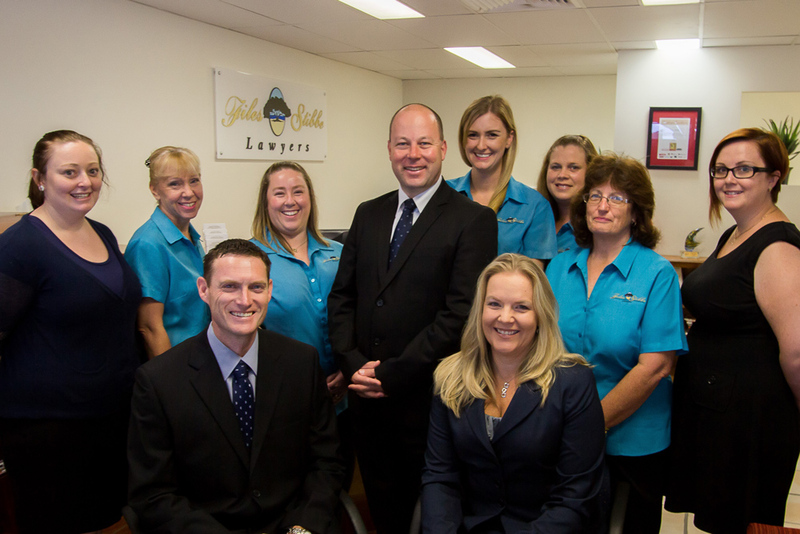 Files Stibbe Lawyers have been in business on Bribie Island for over twenty years. On 2 January 1996 Kylie Files (now Stibbe) and Dean Stibbe opened Files Stibbe & Associates Solicitors, having previously worked for Andrew Rae and Associates and purchasing that practice from him. Originally Kylie and Dean were the sole solicitors in the practice, and in fact were two of the youngest solicitors ever admitted to private practice in Queensland. They employed 4 support staff at that time. Now Files Stibbe employ 10 staff, including 4 solicitors, 2 paralegals and a number of support staff, making them one of the largest legal firms in the Caboolture Shire. All staff are employed from the local community. Kylie and Dean have always had close ties to the community and have donated considerable time, money and expertise to local groups and associations, including the Bribie Island RSL, ESA International (Queensland Branches), RSL Womens Auxiliary, Vietnam Veterans Association, War Widows Guild, St Michaels College, Bribie Island and Banksia Beach State Schools, Bribie Island Kindergarten, Bribie Island Cricket, Tennis, Rugby League, Soccer and AFL and numerous other charitable, sporting and not for profit bodies. Dean has also been a Director of the Bribie Island RSL Club committee for over 20 years and the St Michael’s College Board of Directors for over 10 years and both he and Kylie have served on the executive committee of the Bribie Island Chamber of Commerce. “We have lived on Bribie for many years and it is home to us and our family. We live in and rely on the local community and it is nice to be able to put something back. We love it here and couldn’t imagine living anywhere else” says Kylie.